Welcome to Twirl and Take a Bow. I hope that spring has truly arrived in your neck of the woods. I’m still in Montana, and it has DEFINITELY NOT arrived here. I do miss the warm weather of Texas. BUT…I’ve been hearing from my friends in Texas, that I might be missing the warmth…but in the spring, in West Texas, comes the dirt storms, winds and haboobs. THAT…I don’t miss, and quite frankly, I’m glad I’m missing out on that. I suppose that every part of the country has it’s good and bad points. You just learn to bloom where you are planted. Our lovely Brooke is choosing features this week, so I’m turning the reigns over to her. Y’all enjoy the party…link up and have fun! Happy Spring, everyone! 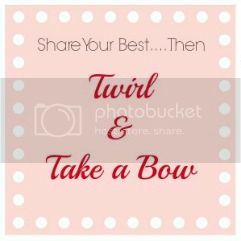 It’s time for another great week of Twirl & Take a Bow, and this week it’s my turn to pick the features! For those of you that don’t know me, my name is Brooke and I blog over at DesignedByBH. So what’s your favorite part about spring? I know it probably doesn’t feel like spring yet for all of you, but it’s coming! Do you plant a garden or flowers? My husband and I are in our first house, so that’s something we get to experience this year–at least at our own home. He’s a professional landscaper so it’s nothing new for him! He has big plans…boulders, flower beds, new mulch…it will be nice once we’re he’s done! Dolmades Gialatzi from Culinary Flavors! How fun (and springy!) 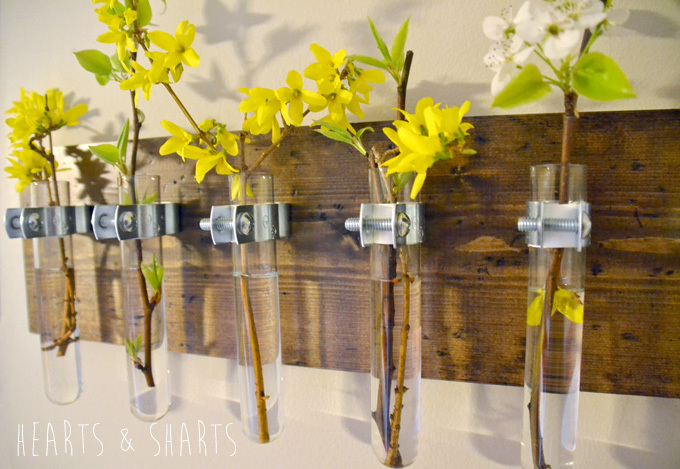 is this Hanging Test Tube Planter from Hearts & Sharts? 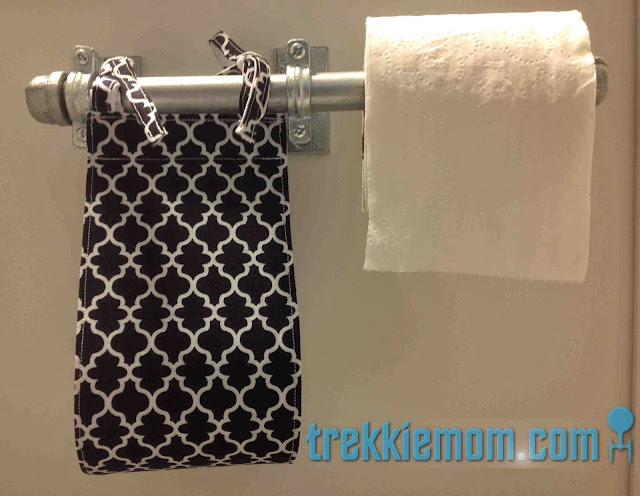 I’m super fascinated by this DIY Industrial Toilet Paper Holder from trekkiemom. 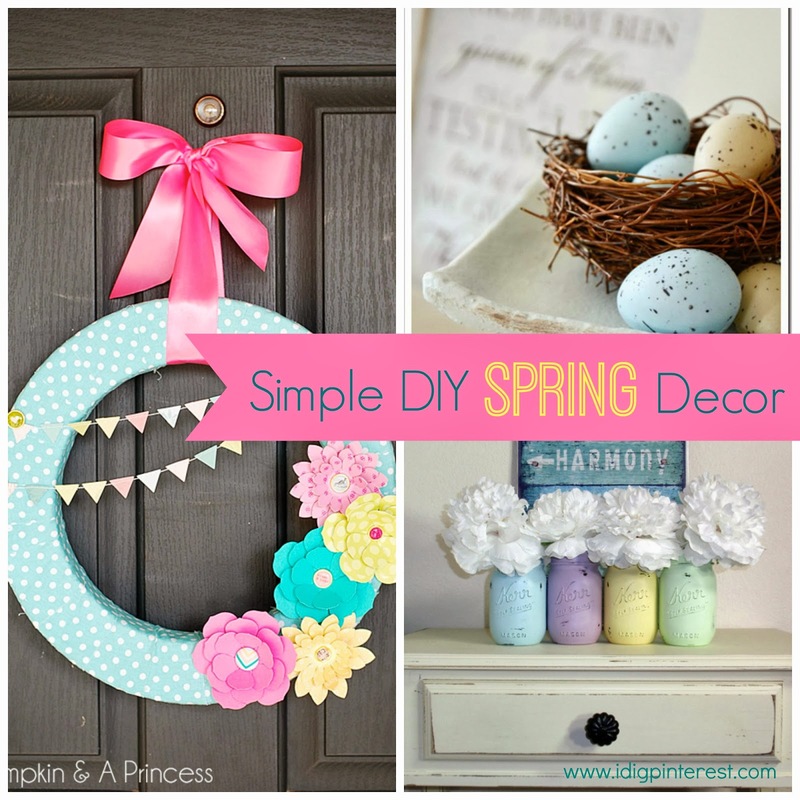 Finally, I’m digging this DIY Spring Decor collection from I Dig Pinterest! So glad you’re back, Tammy. Thanks for hosting – this is my favorite place to link up! Thank you so much Jen. It’s always good to have you here…and see what you link! have a wonderful week! Thank you. It will. Some days, I think I’m doing really well…and it hits me out of the blue…but I know I’ll get past those daily surprises. Thank you for your thoughts…and for stopping by the party! Have a good week. Yesterday it was sunny and warm enough outside with just a sweater, today raining. Spring is here and the buds are plumping. Thank you for Twirl and Take A Bow. Hugs. Thank you for joining! Have an awesome day! Thank you for hosting a great link party! Hope you have a wonderful day! p.s. – Way up here in central Alberta, we had two weeks of beautiful weather, then got hit with snow last night! Crazy! Val, Thank you for visiting! I hope you’ll come back and join us anytime! Have a great week!